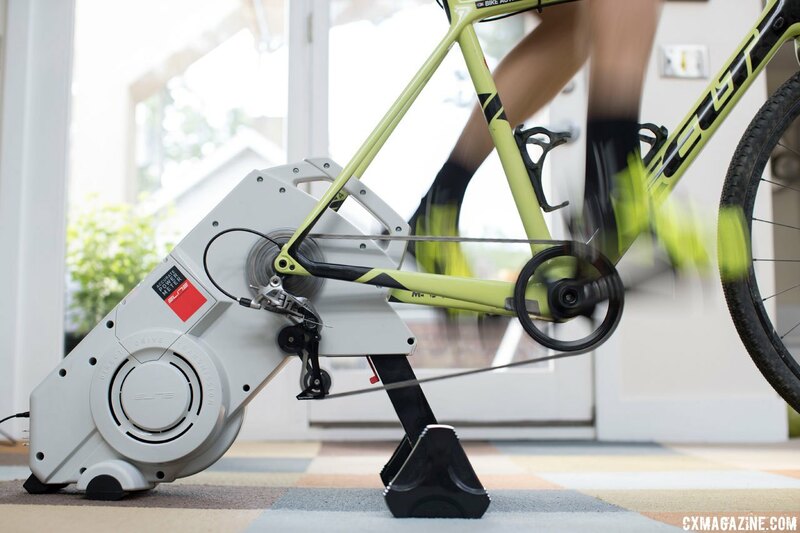 For those who are not fortunate enough to have year-round nice weather, are limited by lack of daylight, or—gasp—like the structure of riding on the trainer, the Elite Drivo direct drive smart trainer offers a platform to assist your training from the confines of your own living room. Last winter, I was able to put the Drivo through its paces as a way to get through rough Northeast Ohio weather in decent riding shape. I am happy to report that I survived, and today I am reporting how the Drivo worked as an indoor trainer option. Carrying the Drivo to where it needs to be is easy thanks to a built-in handle and a build that distributes the weight across the unit fairly well. The Drivo is no spring chicken, weighing in at 39.6 pounds with a 11-32 SRAM 1130 cassette mounted to the unit, and my scrawny arms were put to the test moving it up a flight of stairs. Once in place, the Drivo’s final setup is straightforward and gave me no issues. You click the lower leg into place, thread the locking knob to fix the legs’ position, put the feet on and rotate them to the wheel size of your bike, mount your cassette and put on your desired end caps. With those steps taken care of, you can then put your bike on, mount the optional cadence sensor and then plug the trainer in to get started putting in those indoor miles. Once the Drivo is plugged in, it comes to life with a small whirring noise, which I imagined as the trainer saying "Hello, time to get fast John." There are three lights on the rear of the Drivo—power, Bluetooth and ANT+—which give you the status of the trainer and its connected protocols. The Drivo measures power output using optical torque sensors, so there is no spin-down calibration required before riding. You just turn on the trainer and you are ready to ride. Underneath the Drivo’s matte white plastic exterior, Elite has engineered a trainer that provides what it claims is industry-leading +/- 1% accuracy combined with quiet operation and true-to-road feel. The frequent power readings paired with a 6kg flywheel on the Drivo produce a very road-like ride experience, and I found it allowed me to easily stay in a watt range with smooth ramping up and down while riding in the ergometer mode. The Drivo has a maximum wattage of 2,296W at 40 km/h and supports a maximum simulated grade of 24%, both of which are well within the range of mortal use. 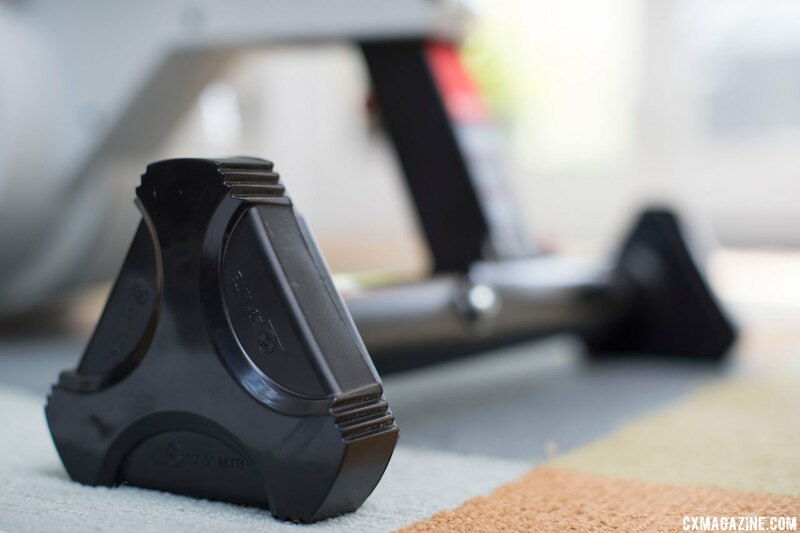 While the Drivo will calculate cadence without it, a magnetic cadence sensor is included with the Drivo, and provides a more accurate reading and helps facilitate smoother power-based resistance adjustments. 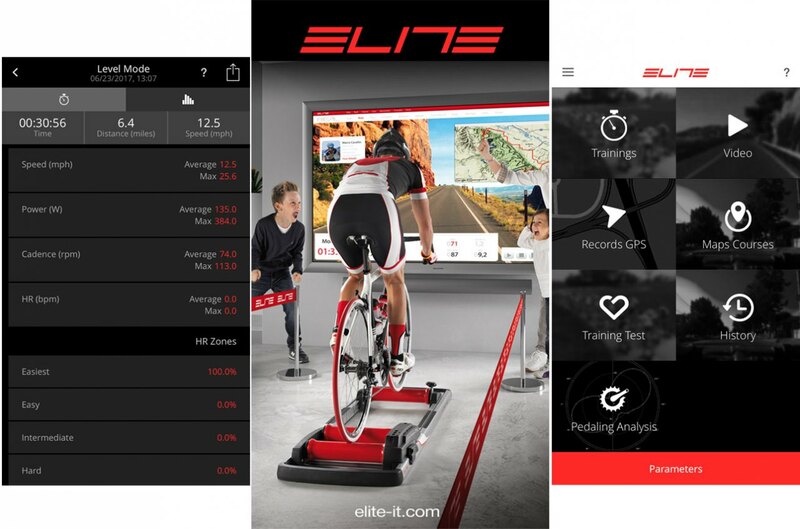 Elite's Real training software has a clunky interface and was not as easy to use as the trainer itself. 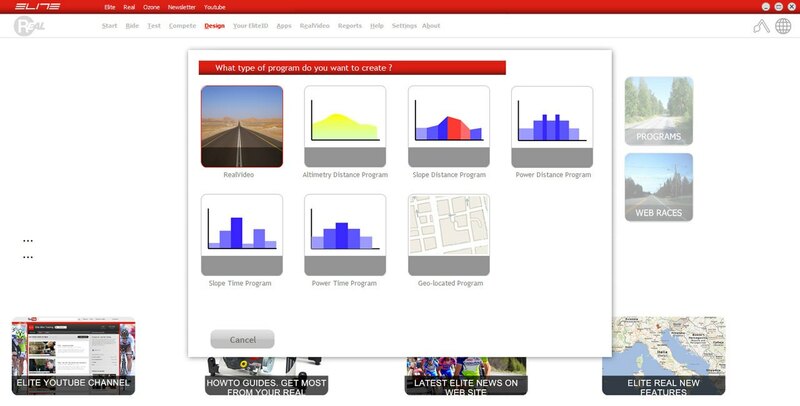 photo: screenshot of Elite Real training software. I won’t mince words, Elite’s software leaves something to be desired. Both the Windows and iOS versions of the software have a clunky interface and sometimes awkward Italian-to-English language translations. Elite eTraining iOS and Android app. Elite provides a card with download info and a coupon code for a lifetime subscription. The Drivo hardware was dead simple to set up, but installing Elite’s Real software proved clunky at best. Mac users beware—the included software was Windows only. I had to install it on my Macbook Pro using a VMWare Fusion virtual machine. There were very few hiccups within the Real software when doing standard workouts, but I will say that my 2011 Macbook and my old virtual machine struggled with the one included Real video virtual course. The eTraining iOS app is adequate, albeit a little clunky, and does not support multitasking, which I learned while trying to type an email while cooling down. Elite's eTraining iOS app works adequately, but does not support multitasking. photo: screenshot Elite eTraining. 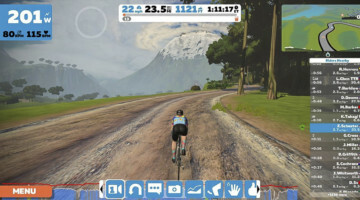 After giving the Real software a fair shake, I was thrilled to move my workouts over to Zwift, a native Mac application that I would wager has a bigger and more well-formed development team behind it. To get the best performance out of the Drivo, I would recommend sticking with a third-party training application. With lousy weather befalling Northeast Ohio for much of the winter and spring, I became well acquainted with the Drivo, and left the early season both impressed and in shape. The plug-and-play nature of the Drivo was a huge help when I was feeling motivationally challenged on cold, gray days. You simply hop on, start pedaling and the unit powers on. No calibration or spin down are needed. I was able to get on, get my workout done and go on with my day without having to deal with any extra headaches. 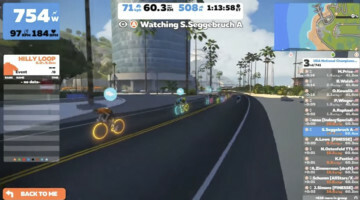 The clunkiness of the Elite-provided software did cause some frustration with the training, but once I switched over to using Zwift, the Drivo truly came into its own. 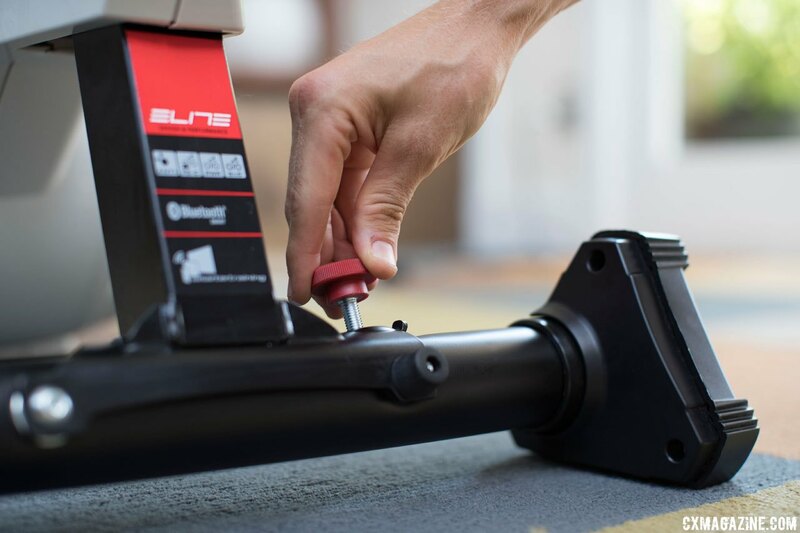 Zwift's virtual grade changes were seamlessly picked up by the Drivo, and its ANT+ FE-C integration allowed adjustable resistance changes on the fly, leading to varied and challenging workouts. 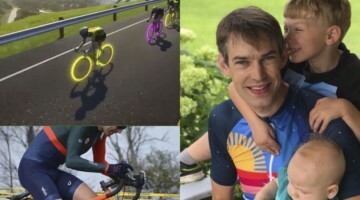 I did quickly realize that the cadence sensor was a must-have for virtual courses because without it, the transmission-based cadence would be confused by high-cadence situations when I was applying very light torque to the pedals. Sustained efforts on the Drivo remained consistent, both in watt measurement and resistance. I didn’t experience slips or stutters while mashing low-cadence sprints or stomp efforts in the 1,000 watt range. Switching bikes was a breeze thanks to the Drivo’s wheel-size-specific rotating feet, and the ability to quickly swap end caps to adjust to my bike’s axle types. I rode my road bike, ’cross bike and mountain bike on the Drivo at various times during my test riding. They were all on and off the trainer within five minutes. One of the biggest drawbacks of trainers can be the noise they generate. My 700-square foot apartment was built in 1890 and is poorly maintained, but my neighbors and I were all happy to discover the Drivo provides a quiet ride, especially compared to a number of other trainers. While riding at 300 watts, my admittedly unscientific iOS sound meter measured the noise output from the Drivo at 70 decibels, which cursory research tells me is no more than the high range of normal conversation. 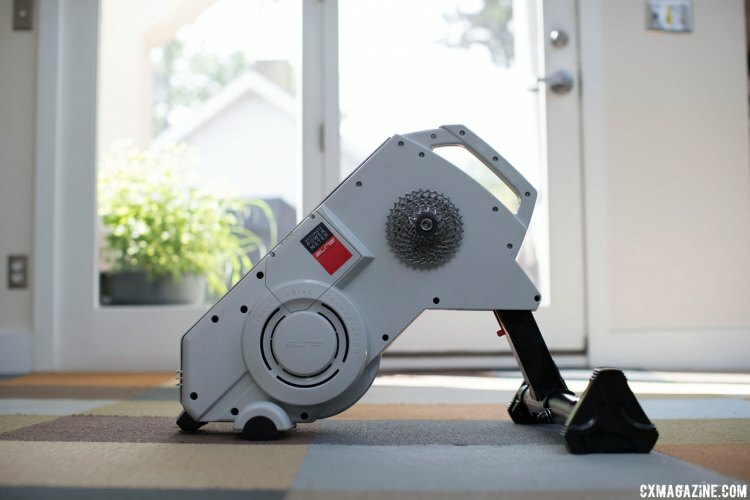 If you live in close quarters or have finicky neighbors, the Drivo will work great for you. At $1,299 the Drivo is not for everyone, but for those who have the financial means and motivation necessary to get their money’s worth, the Drivo is worth a closer look. The setup was very easy, and the Drivo provided accurate power measurement, predictable resistance and—most important for me—quiet operation. Performance-wise, I was very happy with my offseason riding using the Drivo smart trainer. While the software is clunky and not very useful, third party applications pair nicely with the Drivo and allow you to experience its full functionality—and maybe beat some virtual competitors to the top of that virtual hill. Assembly: No tools required to assemble or store — simply unfold and fold.